You might remember that earlier this month we debuted a new single by Boston feminist punx Tomboy. 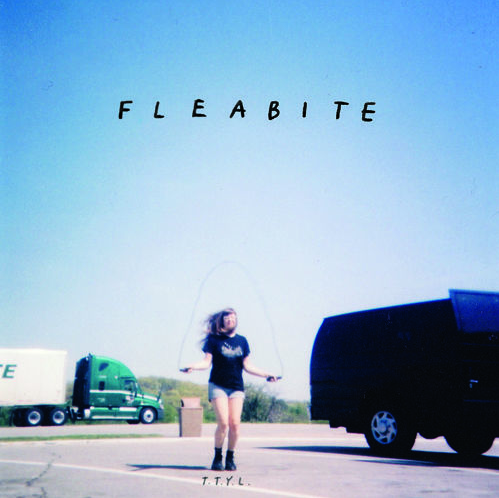 That band’s guitarist Ali Donohue also fronts the scuzzy guitar-pop band Fleabite, where her tendencies towards huge, crunchy guitar hooks are at the forefront, along with lyrics that balance relatable introspection with subtle humor. Fleabite’s new 7-inch EP, TTYL, is out next month, but yesterday on 4/20 they posted the whole thing at precisely 4:20PM. It’s streaming below and includes the anthem for staying in, “Missing Everyone”—previously included on The Le Sigh’s 2014 compilation. Let it be known that Fleabite also has an essential Vengaboys cover. TTYL is out May 15 via Puzzle Pieces Records.